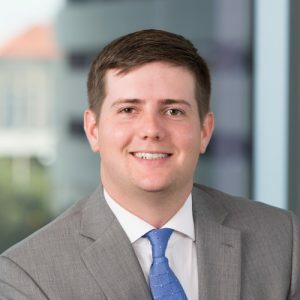 FORT WORTH, TX – Michael D. Duran has joined Cantey Hanger LLP as an associate in the firm’s Business, Tax and Estates section. Duran comes to the firm from Shanks & Hauser, L.L.P. in Houston. His practice focuses on estate planning, probate, entity formation and business transactions, including preparing wills, trust agreements and powers of attorney, assisting with the probate of wills and the administration of estates, organizing corporations, limited liability companies, family limited partnerships and other business entities, and the purchase, sale and other transfer of assets. Duran received his Juris Doctor from The University of Texas School of Law in 2016. He is a 2012 graduate of Texas Tech University’s College of Arts and Sciences, with a Bachelor of Science. He is admitted to the State Bar of Texas. This entry was posted on July 17, 2018 by Tony Lansford.